A Chinese airport was dramatically closed after an aliencraft was detected by baffled air traffic controllers. 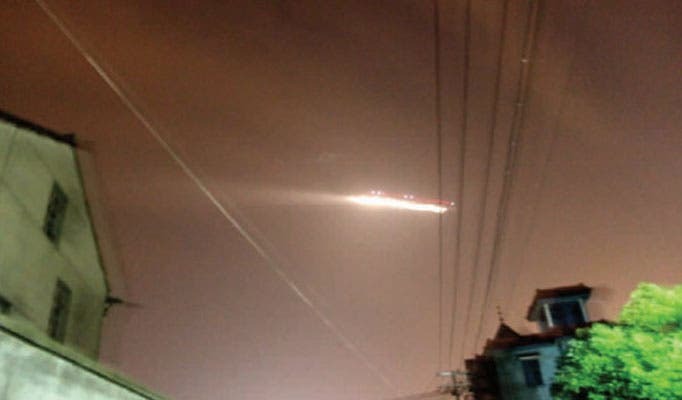 They spotted the UFO on radar screens forcing bosses to ground flights and divert planes away from Xiaoshan airport in the eastern city of Hangzhou. The mysterious object glowed on monitoring instruments late on Wednesday night and was snapped by a stunned local. Many reported seeing a comet-like fireball in the sky. The craft eventually vanished from radar screens but airport chiefs launched an immediate probe into the sighting.